The VA Home Loans Guaranty Program has been an active program for over 67 years and has served nearly 20 million veterans. While the program continues to be the number one loan option for veterans and service members, many are unaware of all the program?s unique benefits and odd rules. However, there are a few lesser known benefits and rules that many potential borrowers rarely hear. A common misconception is that the Department of Veterans Affairs issues the loan; however, the VA isn?t in the business of issuing home loans. Even though the VA doesn’t issue the loan, they do guarantee it; meaning, VA lenders are willing to be lenient when it comes to your credit and debt to income ratio. Only single-family homes that are intended to be your primary residents are eligible. This means if you?re looking to purchase land, rental property or trying to open your own business, you?re looking at the wrong program. Remember, even though land is ineligible, the program for VA loans does allow you to build a home if you follow their guidelines. VA Loans are reusable. Just because you have used a VA loan in the past, doesn’t mean you lost your eligibility. The only stipulation is that you must have paid off your previous VA loan before you can use another. The VA does charge a mandatory fee, known as the VA Funding Fee, which usually falls around two percent of the entire loan amount. This fee is designed to keep the VA loan program alive and goes directly to the VA, not to your lender. The VA Funding Fee can be rolled into the loan amount or waived if the veteran has been diagnosed with a service-related disability. Some mortgage programs will allow almost anyone to co-sign with you; however, the VA loan isn?t one of those programs. The VA guidelines dictate the only acceptable co-borrower is your spouse or another veteran that will live in the home as well. With a VA loan, you can pay as much as you would like, over the initial amount, without penalty. This means you can pay down the life of your loan much faster, saving yourself time and interest. As you can see, the VA home loan encompasses many benefits and has established itself as the premier lending program available to veterans today. In addition, the program can boast the lowest foreclosure rate out of any other lending program. 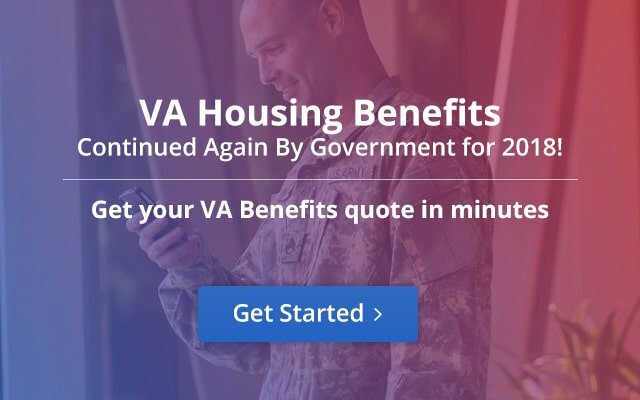 Interested veterans should take the first step and confirm their eligibility by contacting a VA approved lender, like Veterans United Home Loans. Veterans United can obtain your Certificate of Eligibility and get you prequalified for the home of your dreams.